Welcome to NFL Week 11 folks! Let’s recap what we’re doing here. This is a weekly piece on Daily Fantasy plays for Draft Kings with a focus on GPPs, in particular, the main slate. The articles will indicate who I think will be the chalk plays, who some pivots or contrarian plays are to get off the chalk, and some punt plays that could either save on salary or are just so far below the radar they might be tournament winning plays if all goes well. Instead of saying “Player A” is chalk, pivot to “Player B,” there will be a chart showing my data for the match-ups with the chalk/pivots/punts listed after that. In this article, pivots can be a pivot from one player to another player at the same position, from one position to another, or just a way to pivot to the other side of a game that everyone else might be stacking. 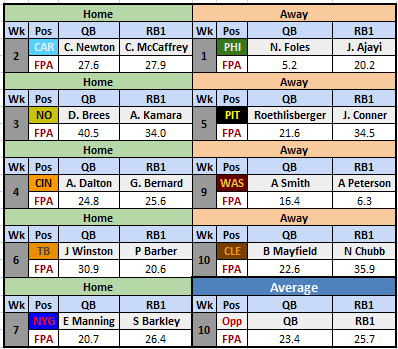 Above is the Vegas implied totals and lines for each game, as well as match-up data I have compiled for pace, opponent fantasy points allowed, and raw Yards & TD data vs. the positions we are looking at for building our DFS rosters. Red is bad, orange is beware, yellow is more neutral, and green is good. The dark green shade is better than good. This week i have also included my projected plays and pass/run ratios into the grid. This week’s juiciest match-up will be Eagles at Saints. The Eagles are coming off an embarrassing loss at home to the Cowboys, while the Saints just got done smoking the Bengals in their house after they came off a bye week. Both teams are susceptible to the pass and tough against the run (at least until Zeke), so this game will likely be an air it out affair. The Eagles are averaging the 4th most offensive plays per game on the road, but could look to slow that down here as much as possible. They are not going to want to have short drives and give Brees the ball more times than they can control. The problem is, the Eagles don’t have a run game and the Saints are allowing the fewest rush yards per game. The Eagles are going to have to figure out a way to hit a bunch of high percentage throws. The first guy that jumps out to me in this scenario is Golden Tate ($5500). The Eagles will be wise to get him some quick shots into space and let him RAC up yards. Wendall Smallwood ($3600) and Corey Clement ($3200) will probably play a larger role than they normally do, but both will cancel each other out making neither playable. Zach Ertz ($6600) saw 16 targets come his way last game, showing us where Carson Wentz ($6300) feels most comfortable. These two are the main plays for the Eagles in this game, with Tate a little more risky due to just joining the team recently. It’s also possible Alshon Jeffery ($6300) finds himself lined up against familiar foe Eli Apple enough times to make him a worthwhile, match-up based play. Wentz could be forced to target him quite a bit if this turns into a shootout or the Eagles are playing from a large deficit. The Saints are marching their way toward home-field advantage throughout the playoffs while the Eagles will be fighting to stay a .500 ball club. The Saints will likely have to keep their foot on the gas pedal for most of this game. Drew Brees ($6500 – QB1) is in another smash spot here. 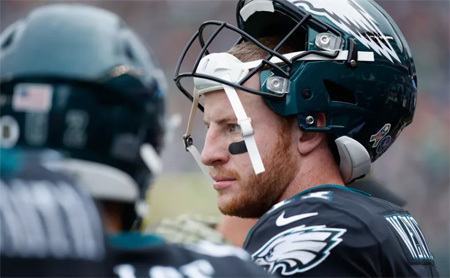 The Eagles are hard to run on, which will force him to throw a little more than the Saints have wanted to lately – and Brees at home is a killer. His main target is Michael Thomas ($8800 – WR1), who has been ridiculously efficient this year and the Eagles have allowed big games to #1 WRs on good teams this year. The combo of Brees and Thomas may end up chalky as heck this week, but it is one of the best stacks you can go to on this slate. 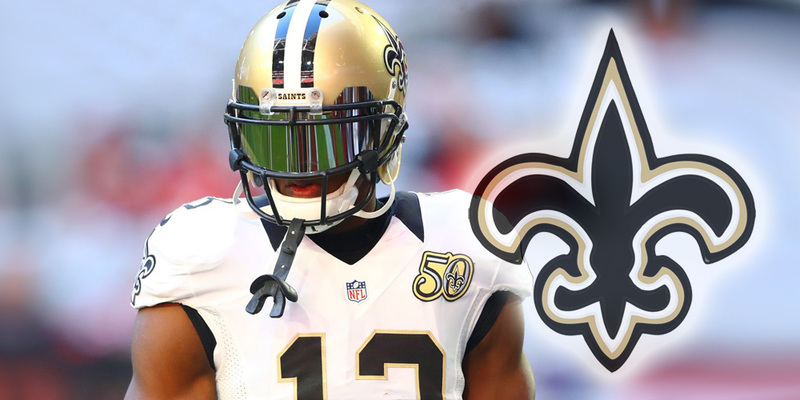 Brandon Marshall just joined the Saints, but is not available on DK this week. His snap share will be unclear this week, and it could effect Tre’Quan Smith ($4000) who has been seeing a diminished role lately already. Alvin Kamara ($8200) is a pretty easy fade for me this week giving the match-ups of the RBs priced around him, and the tough match-up he’ll have in this game. He’s not guaranteed his usual 25+ points here. This game works best as a passing game stack. Pick one of the QBs, one of their WRs and one of the opponent WRs, and add Ertz at TE if it works. The Bucs defense is so beat up right now, especially at linebacker and in their secondary. It’s forced them into several shootout/come from behind games this year where they are throwing a ton of passes. Not having an OL that can run block has also forced more passing from Tampa this year. If it weren’t for the turnovers and the potential for an in-game benching for either QB here, we have a great volume opportunity to exploit with this offense. Ryan Fitzpatrick ($5600) will get the start, and if the Giants run defense wasn’t so bad, we could project 40+ passes for him. The Bucs know they can’t keep playing the way they have, so there should be some additional emphasis on the run here (by both teams actually). The Bucs will likely throw around 36-38 times and run the ball 25-27 times. Peyton Barber ($3600) should get another 12-13 carries and 60 yards, but will need a couple of TDs plunges to really make a difference in DFS. If the Giants are leading throughout this game (which is likely), then we should focus on the receivers and tight ends for Tampa. George Kittle just ran all through their secondary on Monday night, which puts O.J. Howard ($4900) at the top of the list for me here. Mike Evans ($7300) is also up there for me, as the Giants don’t have anyone who will be able to stop him from hauling in contested catches. Free safety Curtis Riley is a major weak spot for the Giants, so I will also be targeting Desean Jackson ($500) and Chris Godwin ($4300) for some run after the catch plays toward the middle of the field. This is also where Adam Humphries ($3800) will be working. Humphries has had a couple of good games recently, including a 10 target game and a 2 TD game, but he is not a reliable enough option to consider outside of being a punt play for salary relief. Saquon Barkley ($8700) is in an absolute smash spot this week. The Bucs get destroyed by RBs on the road, allowing 1.8 rushing TDs per game. This is a potential 3 TD game for Barkley given his additional volume in the passing game. Barkley has 4 games with more than 10 targets and just logged his first career 20 carry game last week. The Giants could easily ride Barkley to the win here and use the ground game to keep Tampa’s prolific passing attack on the sidelines. The Giants are going to see a familiar face across the line this week with JPP returning to Met Life. This further adds to my theory that the Giants will run more and will try to keep him from getting too many chances to sack Eli. When they do throw, the two primary options worth considering are Odell Beckham ($8400) and Sterling Shepard ($5300). Odell is an elite option, and is a reasonable pivot off of Thomas or Julio if you can’t afford to go all the way up tot hose guys. Shepard is a decent, low owned pivot who should see 7-8 targets against bad corners and safeties. Evan Engram ($4100) is also worth considering since the Bucs have allowed some big games to TEs this year. This is another good game for a game-stack. Barkley and Howard with either Evans, Beckham or Jackson would be the way to play it. The Panthers went into Ford Field and won this game 27-24 last year, but now we’re dealing with a different Lion’s coaching staff and defense, and a new Panther offensive coordinator. The Panthers are coming off an embarrassing loss to the Steelers on Thursday and had the extra few days to prepare for the Lions. A key to this game for the Panthers will be the health of Lion’s star corner Darius Slay. Slay is back at practice, so we’ll have to keep an eye on that. If for some reason Slay can’t go DeShawn Shead will take his spot on the outside again, and Devin Funchess ($5100) will have an easier match-up. However, in previous years, Norv Turner’s #1 WR’s have only averaged around 7 targets per game and Funchess is only averaging 6.7. The volume is not going to be there for him to make a major impact, unless he catches 2 TDs, which is going to be tough considering he only averages 1 red zone opportunity per game and is not a game-breaking threat on the outside. The Lions are also good at shutting down the TE, so Olsen won’t be high on my list this week. In all reality, most weeks the only two playable Panthers are Christian McCaffrey ($8000) and Cam Newton ($6200) and that continues to be the case here. The Lions are awful against the run, although that turned a corner last week with Snacks getting more familiarity in the system. This game sets up well for lots of quick passes to CMC and designed QB runs. 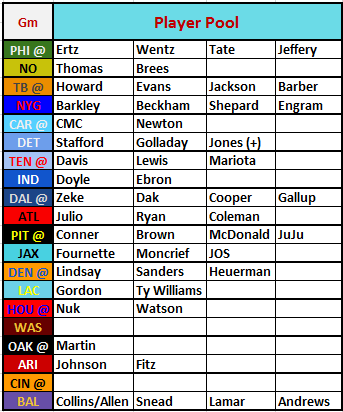 Both CMC and Cam will be on my list this week, but we’ll see how roster constructions goes with their prices tags. The Panthers have been getting roasted through the air lately, and Matthew Stafford ($5400) seems due for a big game soon. That’s just gut feel, but there are stats that suggest the same. Carolina is stingy against the run, but is allowing 2.75 TD passes per game at 100% rate of multiple passing TDs per game, and give up 25.3 points per game to QBs while on the road. Stafford has been priced down this week, so he may end up as a popular play. Marvin Jones ($5200) started the week out on the injury report with a DNP, and now reports are he’s going for a second opinion on his knee. This doesn’t sound good for his availability this week. His health will play a huge role on whether Stafford can meet expectations for his “overdue” big game. Kenny Golladay ($5800) is the WR who sees the most snaps per game, including the time while Golden Tate was still on the roster. With Marvin Jones exiting last week’s game in the 3rd quarter, Golladay racked up 13 targets. He’ll get fed at least that many if Jones were to miss this game. Last week Theo Riddick ($4000) played the slot role for the Lions and was targeted 6 times. 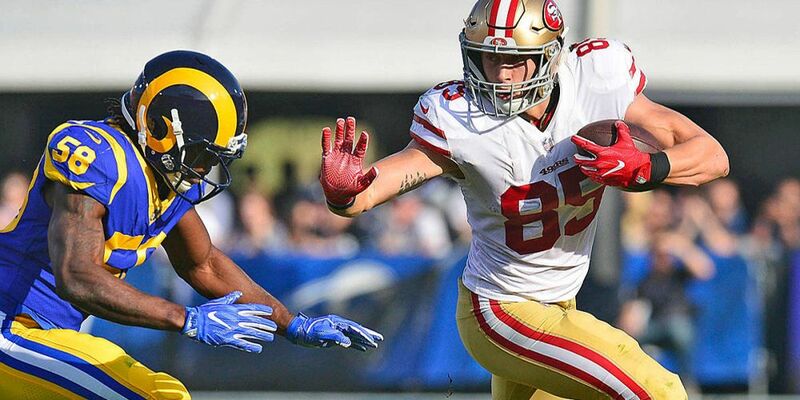 Heading into the week, the Lions had signed veteran slot man Bruce Ellington ($3000), but he must not have been up to speed yet and was a game day inactive. It will be interesting to see if he starts eating into the slot role moving forward. If Jones sits, he will almost certainly have a role in this game. Kerryon Johnson ($5800) tested the Bears shut down run defense last week and came away with a very solid outing. The Panthers can be just as tough on RBs, but we’re starting to see Kerryon’s talent shine through tough match-ups. Still, we have to consider only one RB has scored 20+ points on the Panthers this year, and that was fellow rookie Saquon Barkley. Other elite RBs have faced the Panthers and had solid games, but that was earlier in the year. Since Barkley’s week five 28.9 performance, no back has gone over 14.3 points against the Panthers, and that was James Conner just last week. The top pass-catching options at TE are banged up and not reliable enough to consider anyway. Stafford and Golladay are the primary plays here, with Marvin Jones in play, if he’s healthy. The Titans surprised the Patriots last week and kept Tom Brady from throwing even a single TD pass. 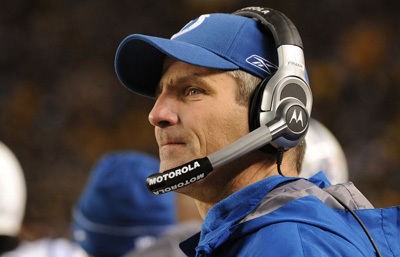 This week they go on the road to try that again against Frank Reich’s offense. This is a battle between common opponents, which can lead to lower scores. The first stat that caught me by surprise when digging into this game is that the Titans have the lowest scoring defense in the league, allowing only 16.8 points per game. The Colts are scoring 28.9 per game on offense, good for 6th best in the league. Something has to give here, and I am leaning more toward the Titans keeping the Colts score down than the other way around. The Titans have been involved in some very low scoring games this year, and will grit their way through it on defense. On offense, they are finally starting to look like the team people imagined at the beginning of the year when they hired their McVay/Shanahan disciple Matt LaFleur to run the offense. After their week 8 bye, they seem to have re-calibrated and Marcus Mariota ($5500) is starting to look like a player we can consider rostering moving forward. He has back to back games of over 22+ points, and the Titans have scored 28 and 34 points each of the last 2 games while running 65 and 61 offensive plays. Volume is starting to trend up for them, which gives us more room to project better fantasy numbers. Mariota’s favorite target is Corey Davis ($5600), who has back to back 10 target games. These two make a solid and moderately priced stack for this week, in a game where they may have to trade several scores with the Colts offense. Comparable “bash and dash” backfield the Colts have faced this year include CIN, WAS, NE, JAX, and OAK. In those games, they have allowed a combined 33+ points tot he RB position with a distribution of 17.7 to the more traditional RB and 14.8 to the pass-catching back. Looking at the distribution of opportunity in the Titans backfield since the week 8 bye clearly favors Dion Lewis ($4800) at a clip of 45 to 19 over running mate Derrick Henry ($4000). Henry is coming of a big game last week, but remains to heavily dependent on TDs to boost his score, whereas Lewis has the target opportunities to keep his floor up in PPR formats like DraftKings. I would favor the data and go with Lewis if using a Titan RB this week. The Titans defense has me a bit spooked to use any Colts this week. The most points they have allowed in a game this year was 27 to Miami in the first game of the year. Since then, only Philly has cracked 20 points on them, and that was an overtime game. It’s hard to find a match-up to get excited about for the Colts offense. Adoree Jackson will likely follow T.Y. Hilton ($6100) around as much as possible and the Colts secondary wide-outs are useless in DFS. The Titans have good numbers against TEs, but they have played a lot of teams that have bottom of the barrel players there. The only time they played a good one they let Ertz go for 21+ points. The Titans corners other than Jackson are not that good, so if they use a lot of two TE sets and get Eric Ebron ($4300) and Jack Doyle ($4200) matched up on a corner or on LBs out in space, they could have success. The Titans have not allowed 20 points to an RB this year, and the Colts are splitting snaps between their top two backs at a 60/40 ratio, making neither guy an optimal play here. The Cowboys are in a great spot this week. Atlanta is one of the worst team in the league against RBs, making Ezekiel Elliot ($8500) a lock play this week. The main weakness for ATL versus the run comes from pass-catching backs, so it will be interesting to see if Zeke keeps up this 6 targets per game pace he’s been on for the last three games. If so, Zeke should be able to put up a 30+ point game here. Eight RBs have already put up 20+ points on this defense, but the Falcons are getting beat by the QB on teams with strong running games as well. Take a peak at the Falcons opponent chart and we can see they have allowed both the QB and RB1 to score 20+ points against them in 7 out of 9 games. Guess what? The defense hasn’t changed, so this is a reasonable expectation for Zeke and Dak Prescott ($5200). Dak has the running skills to keep his floor up, which has me gravitating toward him quite a bit this week. A Dak and Zeke stack looks like a solid way to start a roster to me. Michael Gallup ($3700) is from the Atlanta area and makes for an intriguing narrative street punt play. The Dallas defense has allowed the last three teams they’ve faced to score 20+ points against them, and the Falcons at home in a dome are a good bet to continue that trend. Matt Ryan ($6100) has 4 straight games over 330 passing yards, and sure enough my projection model for him this week produced 42 pass attempts for 336 yards. If he throws at least 2 TDs with that yardage total, he’s going to score 24 points. Julio Jones ($8500) has 4 straight games above 10 targets, 100 yards, and 21 DK points. 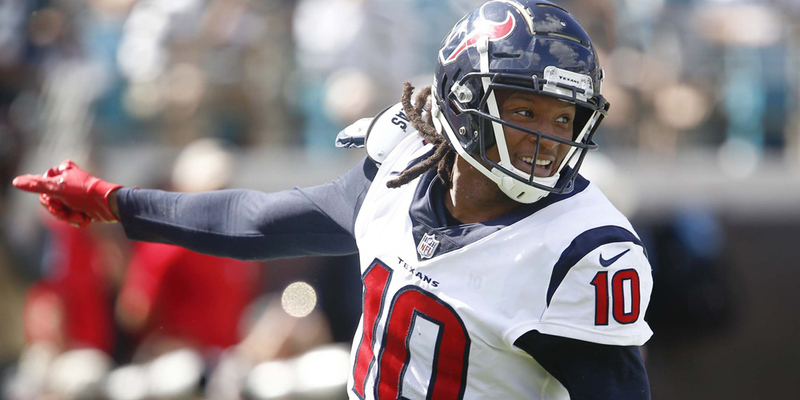 Dallas has been tough on #1 Wrs though, and has only allowed DeAndre Hopkins to cross the 20 point threshold we’re looking for with any player we roster. I don’t doubt Julio has the talent to get to 20, but it could be tough scraping to get there. I wouldn’t trust any of the other WRs on the Falcons to get enough volume to overcome this difficult match-up. Tevin Coleman ($5300) seems like a reasonable pivot option, since he’s likely to go low owned. The Falcons have been inconsistent running the ball, but he has 5 and 7 targets in the last two games, and with Dallas’ defensive line and LB Sean Lee banged up, he could find some extra wiggle room to make plays. The Jaguars defense has been strongest when at home, and on the perimeters of the defense. Where they have allowed to most success to opponents has been at RB, TE, and slot WRs. If we think back to the last year’s playoffs, we’ll remember these teams met in January of this calendar year and put up a combined 87 points, so anything is possible in this game. 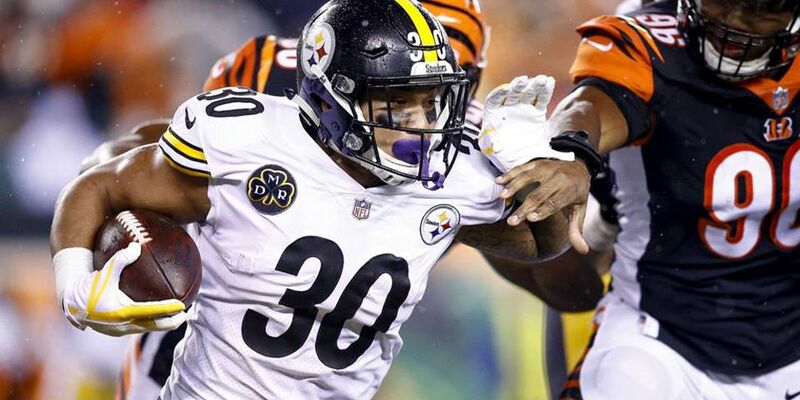 James Conner ($7200) is the first player I’d consider using from the Steelers side. He’s a high volume back that catches plenty of passes. Lev Bell caught 9 for 88 yards in the playoff game this year, and scored 36 points giving us a ceiling projection for Conner here. I don’t expect him to get that many points, but it is in the range of outcomes. Even with Jalen Ramsey in shadow coverage, Antonio Brown ($7800) has to be considered, especially at that depressed price point. The field will fade him because of the match-up, but Brown also had a monster day in that playoff game in January catching 7 passes for 132 yards and 2 TDs. He is the pivot you seek if trying to differentiate in the top tier of WRs. The other guy who had a great game in the last meeting and is also a player that meets the match-up chart scouting is Vance McDonald ($4000). He caught 10 balls for 112 yards and no TDs in the playoff game, and was the most targeted Steeler seeing 16 passes fly his way. JuJu Smith Schuster ($6800) hardly did anything in the playoff match-up, but he did catch a TD. With Martavis Bryant out of the picture, his role has grown, and he is likely to draw the weaker cornerback match-ups in this one when lined up in the slot and could exploit that for a nice day. Ben Roethlisberger ($5800) threw the ball 58 times for 469 and 5 TDs in the playoffs, and the Steelers still lost. This is partly why I think they will try to rely more on Conner in this game, as well as the match-up seemingly favoring the run more. We know about the Ben on the road narratives, but those have been less prevalent lately. Given the implications of this match-up for the Steelers as they try to keep pace with the Pats and Chiefs, I would expect them to come out swinging in this one. Now, we have to keep in mind that the playoff game where a lot of huge stats were referenced here does not mean the score is likely to get that high again, but at least we’ve covered the high end of what could happen. So, since we covered what the Steelers did in the playoff game, let’s do a quick recap of what the Jags did. Blake Bortles ($5100) got shut down (214 passing/35 rushing/1 passing TD), Leonard Fournette ($6900) did well (119 YFS/3 TDs), T.J. Yeldon ($5100) had a decent outing (77 YFS/1 TD), and none of the WRs did enough to mention. Now, let’s look at where the Steelers are vulnerable. Teams are throwing more than running against them because they are stuffing the run. The Jags will try to run anyway since that is what they have built the team around. It’s going to be tough for Fournette and Yeldon to rack up yards, but one or both may score a TD. Those guys are also going to have to be involved in the passing game, which will help a little for DFS, but might not be enough to consider rostering either player. really, the only player I’m going to consider from the Jags in this match-up is James O’Shaughnessy ($2600) if I decide to punt at TE for saving elsewhere during roster construction. The Steelers have struggled against TEs, but that was more so when Morgan Burnett was out. They have tightened up against TEs since his return. JOS was targeted 6 times last game, which is interesting. Donte Moncrief ($4900) is the only WR getting consistent targets, so he’s also on the radar. The Broncos are coming off their bye week and should have used that time to self-assess and figure out what they’re doing going forward. Other than Raiders running backs, RBs that see at least 5 targets against the Chargers have averaged 19.7 points per game. 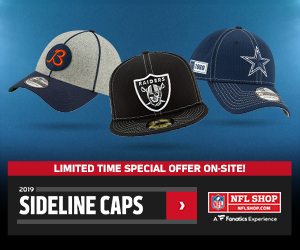 These have all come while the Chargers were on the road, but it does give some sort of signal as to where the Broncos may focus their efforts. Unfortunately, the Broncos have a three-headed committee at RB, and the best of the bunch Phillip Lindsay ($5200) has not seen more than 3 targets in a game over the last 3 weeks and has only one game above 4 targets on the season. Third down back Devontae Booker ($3700) has 3 more targets on the year than Lindsay and has seen 4 targets each of the last two games. Further muddying the picture will be the return of Royce Freeman ($3800) who will cut into Lindsay’s carry share. Based on his production numbers so far this season, I still think Lindsay could provide good value as a low-owned play, but he’s going to be risky. The other primary option for the Broncos will be Emmanuel Sanders ($6200), who doesn’t have a great match-up against Desmond King in the slot, and he does not see high volume on a consistent basis. He’s another risky play in this game, and will likely go low owned. If you’re looking for a minimum priced dart throw, DaeSean Hamilton ($3000) is back healthy and is a part of the reason the Broncos felt they could trade away Demaryius Thomas. They will look to see what they have with him during the rest of the season, so he should get a few looks here, most likely against the Chargers weakest corners Trevor Williams or Mike Davis, depending on whether Williams plays. Jeff Heuerman ($3700) is coming off his first ever monster week, and could be an option again here based on the match-ups outside being tougher. The Chargers have not played a home game since Oct 7th, due to their week 7 “home” game being played in London. Being new to LA doesn’t give them the home field advantage some other teams with established, and less fickle fans have. Still, they at least get to sleep in their own beds and have the creature comforts of “home” leading up to the game. The last time we saw the Broncos, they were getting smashed by DeAndre Hopkins and Sammy Watkins. Broncos shut down slot corner Chris Harris will see some of Keenan Allen ($6700) which diminishes his appeal some. Allen doesn’t catch many TDs, and his volume has been down a bit this year, so I’ll probably look more at Tyrell Williams ($4800) here. Tyrell is the big play threat and will see more of Trumaine Brock and Adam Jones in coverage, which are players he can beat. The primary player I will focus on in this game will be Melvin Gordon ($8900). Denver has been soft against RBs this year, and with Denver losing 2 offensive linemen in each of the last two weeks, their offense could sputter and allow the Chargers to limit plays and run the ball, and the clock. The Texans are fresh off a bye and the Redskin are fresh off a road win against the Bucs where they didn’t even allow them to score a TD. I have concerns that the Texans will be able to much of anything against this Redskins defense. Deshaun Watson ($5700) will be a low owned pivot option in this one. He has quietly thrown 8 TDs with no turnovers the last two weeks. With his rushing ability and the weapons he has outside in DeAndre Hopkins ($7900) and Demaryius Thomas ($4900), he has to be considered here. Watson/Hopkins will be a solid contrarian stack this week. The primary play from the Redskins side I have the most interest in is Chris Thompson ($5000), but it sounds like he’s not going to play in this one. The Redskins OL and passing game is a mess, and this is a full fade scenario for me. Both of these teams are awful against the run, so look for a slow-paced, run-heavy game plan from both sides here. Neither team has a prolific passing attack to overcome the volume concerns this game will present in that aspect, so stick to David Johnson ($7500) as a primary option, and Doug Martin ($4500) as a punt. Larry Fitzgerald ($5600) isn’t a bad pivot play either. It’s hard to find a good line on this game, most likely due to the uncertainty over the Ravens starting QB. The Bengals have listed A.J Green as doubtful, which is going to hinder their entire offense like it did last week when they came off their bye week and got drummed by the Saints. I have no interest in anyone on this side of the ball, and would consider the Ravens DST ($3200) one of the top plays of the week against this offense. 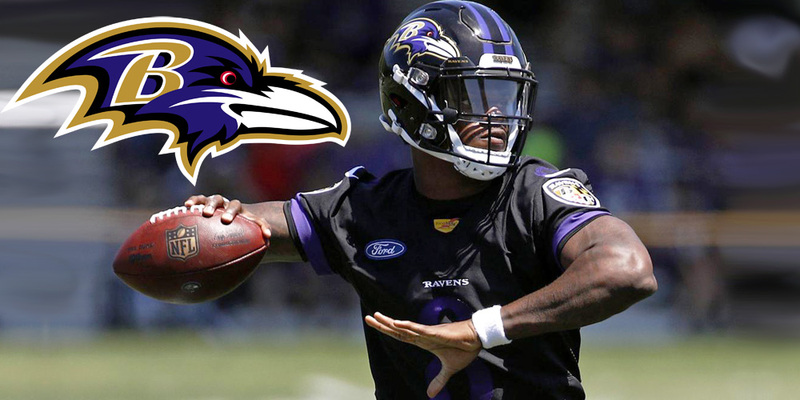 The Ravens have ruled out Joe Flacco, so we’re going to see the potential start of the Lamar Jackson ($4700) era. I’m going to have interest in him as a punt option this week. The Bengals defense is broken, the Ravens coaches are coming off a bye and are on the hot seat, and the Ravens run a lot of plays per game. The instability could have a lot of people off this game entirely, but there is at least one value play we should consider and it’s Alex Collins ($4400). With the rookie starting, the Ravens will probably look to establish the run as much as possible, and since Jackson has some wheels, defenses will have to play the QB as a running threat, too. The Bengals are extremely exploitable on the ground, just ask Ingram and Kamara. And, just as that duo was effective against the Bengals, so could the duo of Collins and Javorius Allen ($3700). Allen has Kenny Dixon back to breath down his neck, which could provide a little extra motivation this week. He could also provide a nice safety valve for Jackson in the passing game. WR Willie Snead ($4300) and TE Mark Andrews are two other options I will consider for my punt/salary saver plays this week, since that is where this offense is designed to go and the Bengals are weak at defending. Overall, looking at the lines this week seems like Vegas is a bit optimistic on a lot of these teams. I may consider establishing a sports book account online somewhere and hammer the under on a lot of these games. The Eagles and Saints game should be the best source of fantasy gold this week. Besides that game, my favorite plays are all the elite RBs again with Barkley, Zeke, Gordon leading the way. There are some pretty decent punts and value options this week, which will help make roster construction more fluid. 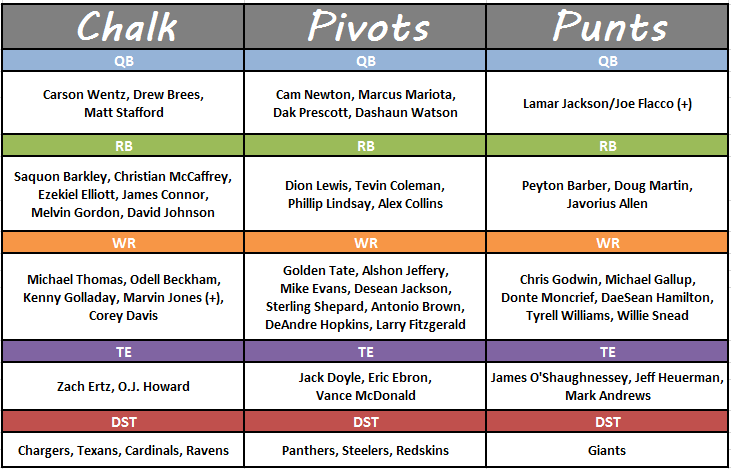 As I write this article every week, I start a chart for my player pool. I’m usually done with this article by Friday afternoon, and then start researching other opinions and data and begin to trim the fat off this chart, and maybe add a player or two someone else has a strong take on that I overlooked. This is what my chart looks like at completion of this article this week, in case it helps anyone with refining their pool or process. I list my top plays to the left and add to the right from there. Good luck this week, and thanks for reading!